Divya Kayakalp Kwath detoxifies your stomach, nourishes your skin and gives relief in skin disorders like eczema, cancer, leprosy. 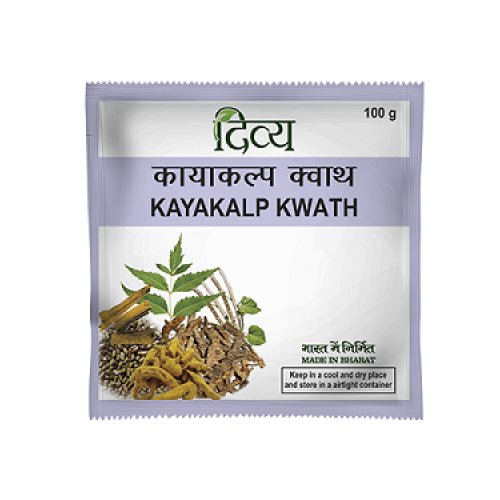 Divya Kayakalp Kwath is made from herbs with natural but strong antibacterial and antifungal properties. It heals lesions, soothes skin irritation and helps the skin get back its normal pigmentation. It boosts the immune system and helps you fight the diseases from within. It also stimulates the digestive system and helps in controlling weight. 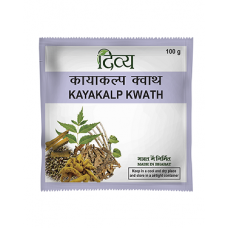 Divya Kayakalp Kwath is a completely herbal formulation and has no side effects. Take Divya Kayakalp Kwath regularly for lasting relief from serious skin problems."